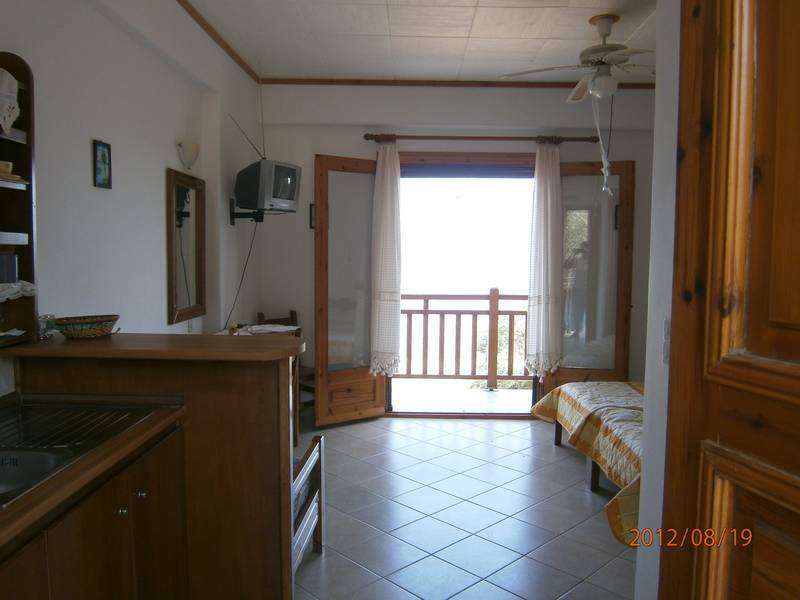 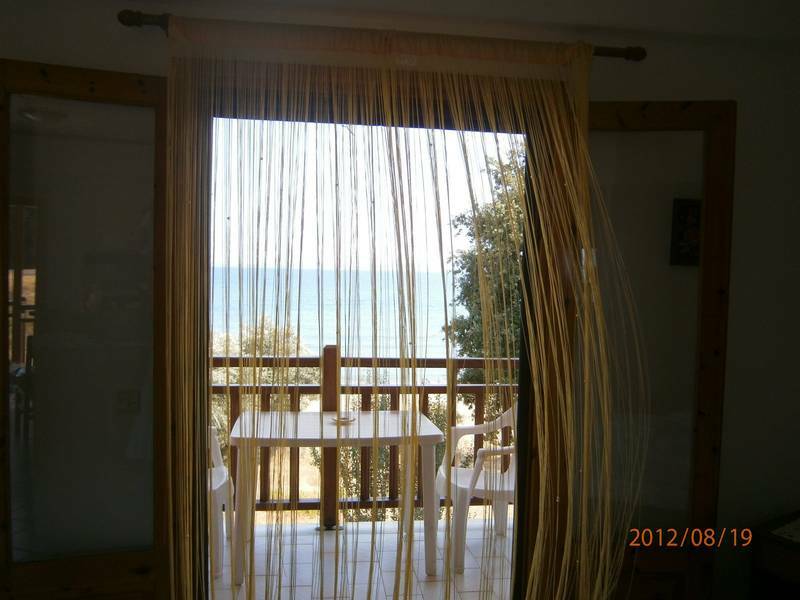 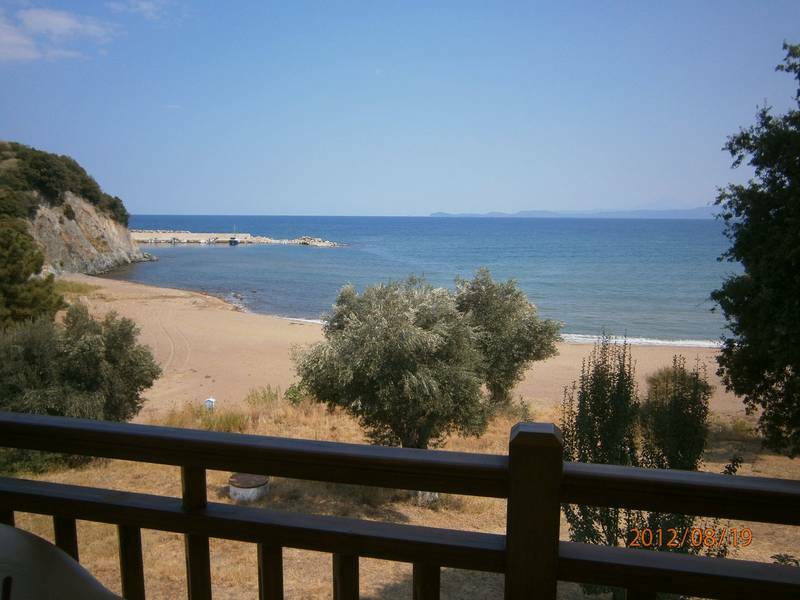 On the olive planted beach of Karvounoskala to Stratoni, which seems to be a private one, Chrisos Elios (Golden Sun) welcomes its guests in 4 apartments which have direct and unobstructed views to the sea. 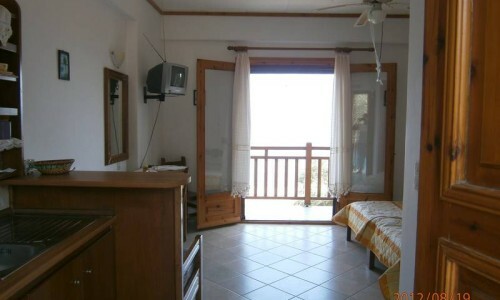 Double rooms with extra bed, ideal for pairs who seek calmness and direct access to the beach, with a safe environment for children and families, in a family run complex where the care passes personally from the hands of the owners. 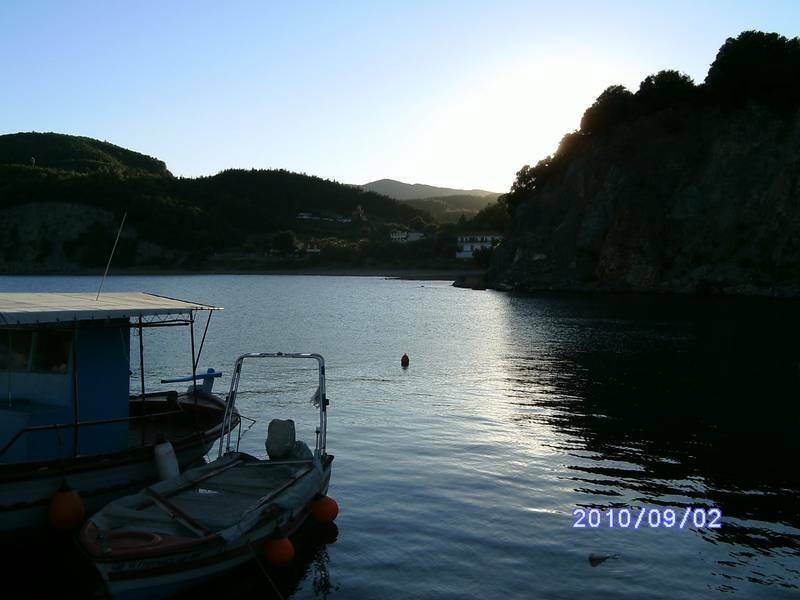 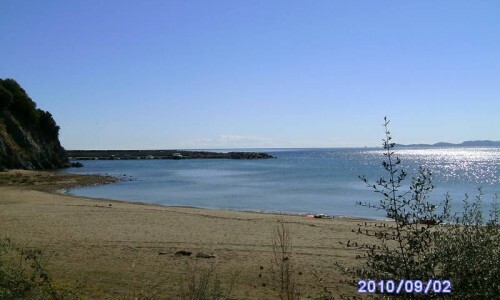 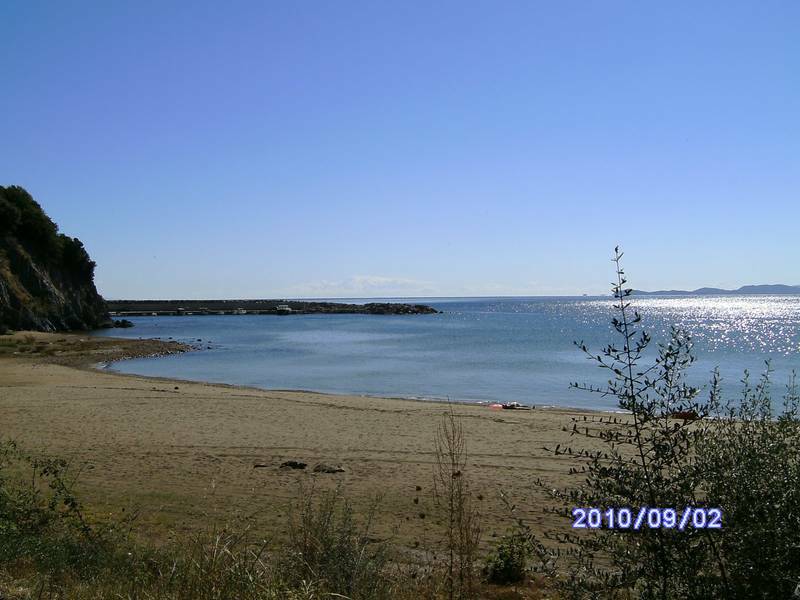 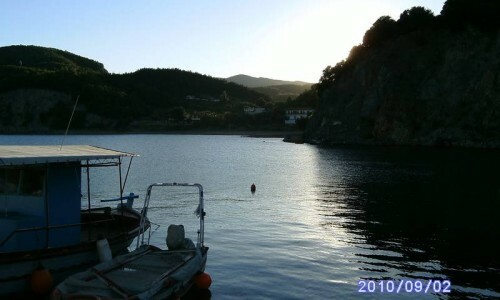 Right next to it, the picturesque port of Stratoni gives anchorage to the fishermen, when the catch of the day can be grilled in the barbeque of the yard. 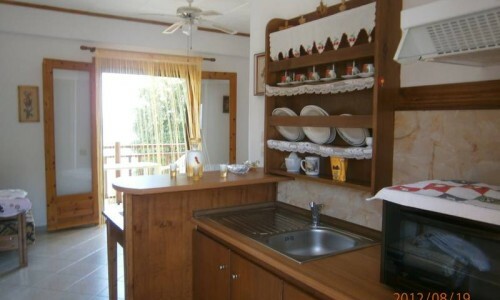 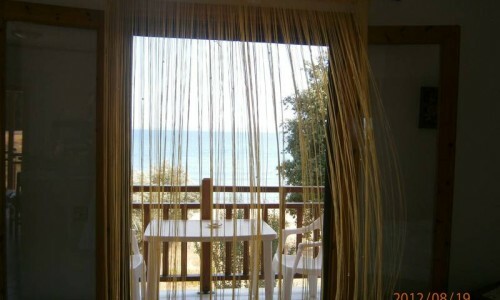 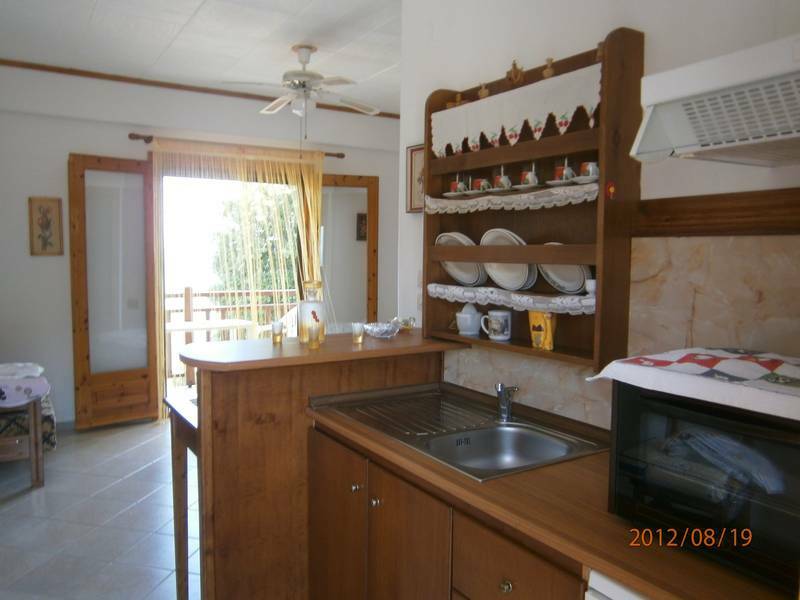 The meals preparation can also be made in the fully equipped kitchenette in the apartment, with all necessary utensils, and be served on the bench-tables on the beach enhance the summer scenery.